The following five questions, developed by the Child and Family Center at the University of Oregon, highlight parenting skills that are important in preventing the initiation and progression of drug use among youth. For each question, a video clip shows positive and negative examples of the skill, and additional videos and information are provided to help you practice positive parenting skills. 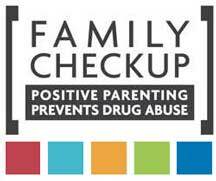 Dishion TJ, Nelson SE, Kavanagh K. The family check-up with high-risk adolescents: Preventing early-onset substance use by parent monitoring. Behav Ther. 2003;34(4):553-571. Dishion TJ, Kavanagh K, Schneiger A, Nelson S, Kaufman NK. Preventing early adolescent substance use: a family-centered strategy for the public middle school. Prev Sci. 2002;3(3):191-201.